MSS understands that Oil & Gas operations take place in harsh environmental conditions. These types of environments demand the need for ruggedized electronics to operate reliably, especially when an oilfield is in 24/7 operating mode. At MSS, It is imperative that we collaborate closely with both our customers and partners to optimize their electronic solutions and packages to help operate and maintain equipment for maximum uptime. With that in mind, MSS has committed to develop and offer the highest quality ruggedized electronics to enable Oil & Gas operators to optimize production and streamline costs. 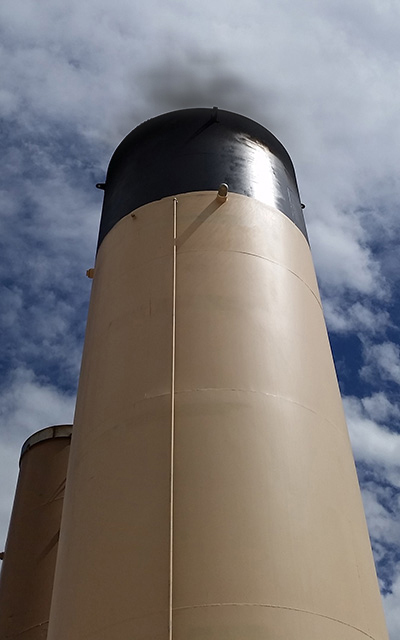 SCANS provides a low cost early solution for detection of smoke from enclosed combustion devices at Oil and Gas well sites. The Smoking Combustor Advance Notification System (SCANS) is an innovative patent-pending solution that provides early detection of incomplete combustion from enclosed combustion devices (ECDs) at Oil & Gas well sites. The system continuously samples ECD exhaust gases for the presence of smoke. If smoke is detected, SCANS will immediately notify site operators based on their custom notification preferences. As a result, SCANS helps Oil & Gas well operators avoid combustor visible emissions fines. SCANS is an extremely cost-effective solution that is easy to install and maintain on either new or existing ECDs. SCANS has no moving parts and conveniently integrates into site automation systems.